One of the beautiful aspects of life in Sri Lanka is getting into the rhythm of nature. Life tends to slow down a bit, having our bodies rise with the sun and end the day when it gets dark. To help our guests achieve their full holiday experience, we incorporate morning yoga classes in our (brand new!) yoga shala. From nice vinyasa flows to restorative yin yoga, we like to provide a well-rounded experience for our guests to relax. Namaste, yogis. Surf, eat, repeat. That’s our motto at Sunshinestories and we like to believe we live up to it on a daily basis. Our surf camp experience here in Sri Lanka is catered to each guest, providing lessons with video footage analysis and surf theory courses to show you where you’re at, and how you can get better. Mitch has been our rockstar surf coach, and once you meet him, you’re bound to an express train to surf skill haven – we promise. Sri Lanka is an ideal place for surfers at all skills. From beginners to those looking to rip, there isn’t a surf break here that will disappoint. Plus, escaping winter for a weak of endless surf can’t sound so bad, right? During your stay at Sunshinestories we love to go on trips and adventures to explore the area, giving you a dose of the local culture. 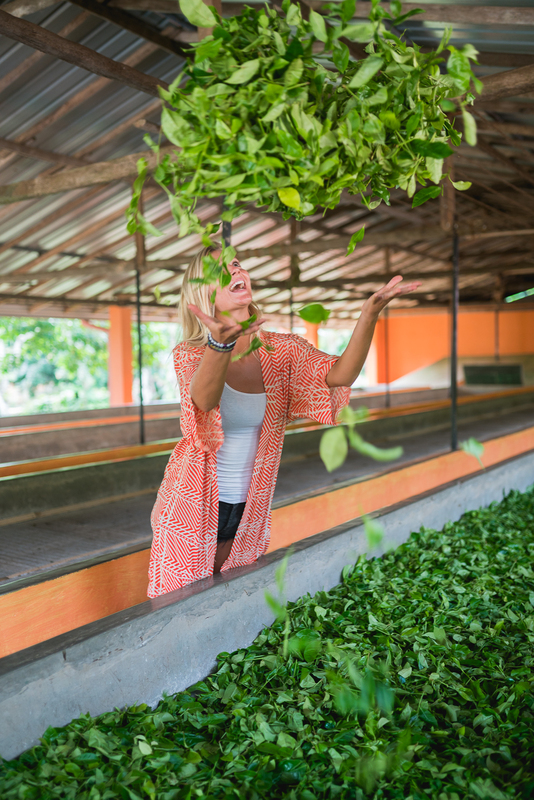 One of our favorite pit stops is to the Virgin White Tea Plantation in Ahangama. What makes this place so special? The white tea here is untouched by hand and cut by gold scissors at dawn to maintain it’s high antioxidant levels. Talk about purity at it’s finest. When you’re on holiday, there’s nothing wrong with having a bit of a “treat yo’self” mindset – at least we don’t think so. 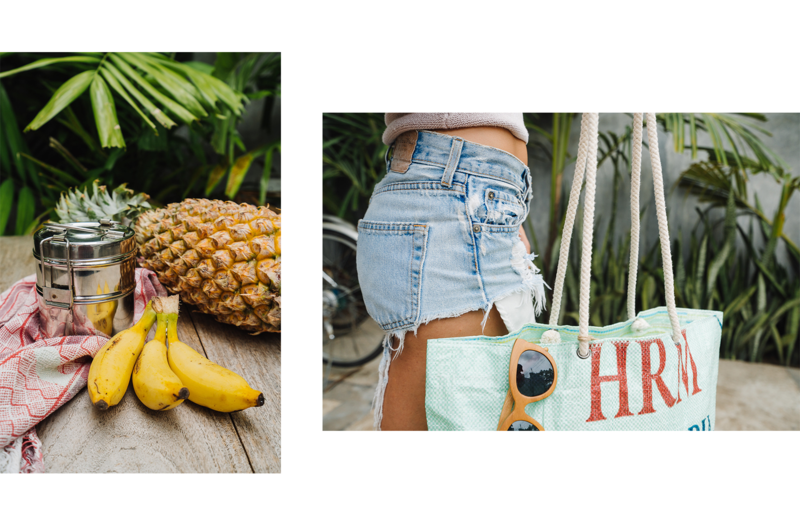 Whether it’s for yourself or a loved one back home, we have all sorts of surf getaway goodies to stuff in your suitcase to take a taste of the holiday back with you. You can expect to find our products have a bit of a sustainable twist, as we try to keep the environment in mind when sourcing the goods. Fueling your body with tasty goodness is just as an important component to our surf and yoga retreat as any other activity, which is why we show our guests just how it’s done. 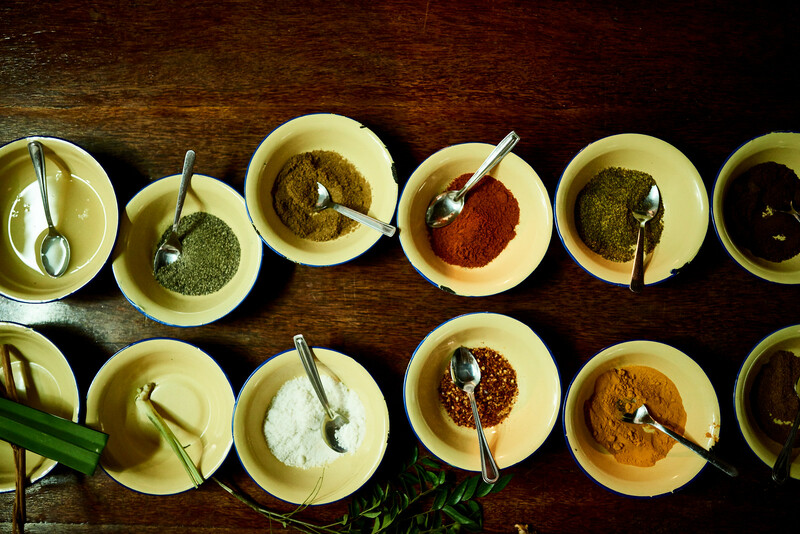 Take in all the flavors and spices that Sri Lanka has to offer by incorporating colorful mixtures of turmeric, cumin, and chili. 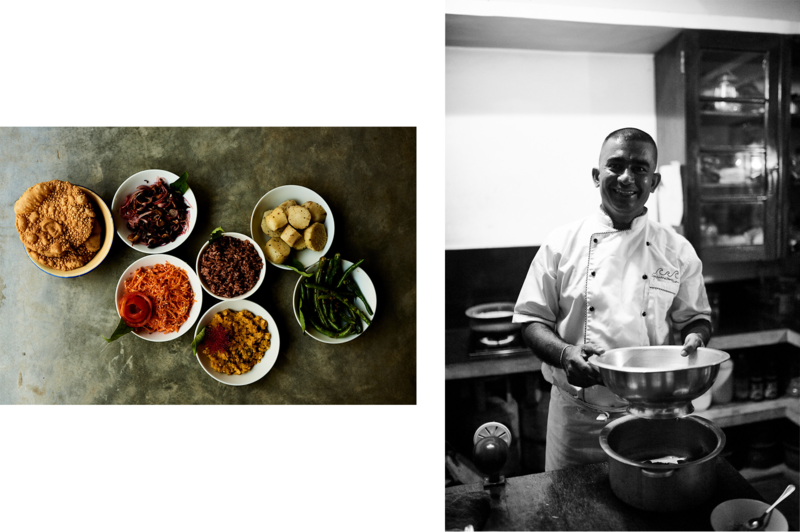 Plus, you’ll get some time to spend with Chef Bandula, a treat in it of itself! We traded in snow for sand, and darkness for sunburns during our holiday season, and we’re inviting you to do the same. Whether it’s a vacation that’s long overdue, or a quick little getaway, we hope to inspire those around us and those embarking on an adventure to join us in part of their journey. If you’re looking for packages and availability, you can book your getaway here. Wherever you are in the world, we’re sending you a bottle of sunshine from our retreat to you!